Display Week 2018 is putting the pedal to the metal back in L.A. this year, May 20-25, at the L.A. Convention Center. Those 7,000+ who joined us at last year's star-studded event in the City of Angels will experience even more of the dynamic, interactive excitement of all things display - and those of you who are joining for the first time will experience an eye-popping extravaganza that blends today's technological advancements with tomorrow's vision of the electronic display industry. AR/VR, AI, quantum dots, micro-LEDs, OLED, LCD, LEDs, wearables, sensors, devices, auto tech, foldables, flexibles, 3D tech, materials - and more: With over 200 exhibitors - if it's a part of the display industry, you'll see it at Display Week 2018. "Display Week is where stars are born," said Aris Silzars, chair of Display Week 2018 Conventions Committee. "When OLED first came on the scene, people didn't know whether it could succeed, but look at where it is now. You never know what's going to be the next enduring technology - but if you see it at Display Week, you'll know it's leading edge." See all the technology that was introduced last year. Display Week is where the world's display industry meets to show, see, touch and test next-generation products, and connect with the entire supply chain spectrum. Nowhere else will you find the world's preeminent scientists, inventors, researchers, developers, designers, manufacturers and investors all in one place. Whether you're a spectator, creator, buyer or seller, and whether you're seeking to advance your professional career or checking out the competition - Display Week 2018 is the place to see and be seen. "It's no secret that technology is ubiquitous," Aris continued, "but what is fascinating is the never-ending impact of display technology in every area of our lives. Like AR/VR discoveries and applications, the automotive display frontier, or how OLED has impacted the smart phone and TV sectors, and that the entertainment industry now really can't function without enhanced display technology and its enabling applications." This year, we'll also be celebrating the 50th anniversary of LCD with a strong line-up of industry pioneers who will discuss the evolution and revolution of liquid crystal display technology. I could go on and on about all the fantastic reasons to attend Display Week 2018 - but I won't! Keep reading below to unpack all the treasures that await. And register today to mark one of the year's must-do things off your list and take advantage of early bird pricing! See you in L.A. Check out this time-lapse video to get a taste of what you missed at Display Week 2017 - and register today for Display Week 2018 to make sure you don't miss any of this year's action! Professor Hiroshi Amano received a doctor of engineering degree from Nagoya University. Currently he is a director at the Center for Integrated Research of Future Electronics, and a professor at the Institute of Materials and Systems for Sustainability, Nagoya University. He shared the 2014 Nobel Prize in Physics with Prof. Isamu Akasaki and Prof. Shuji Nakamura "for the invention of efficient blue light-emitting diodes which has enabled bright and energy-saving white light sources." Douglas Lanman is the Director of Computational Imaging at Oculus Research, where he leads investigations into advanced display and imaging technologies. His prior research has focused on head-mounted displays, glasses-free 3D displays, light field cameras, and active illumination for 3D reconstruction and interaction. He received a B.S. with honors in applied physics from Caltech in 2002, and M.S. and Ph.D. degrees in electrical engineering from Brown University in 2006 and 2010, respectively. He was a senior research scientist at NVIDIA Research from 2012 to 2014, a postdoctoral associate at the MIT Media Lab from 2010 to 2012, and an assistant research staff member at MIT Lincoln Laboratory from 2002 to 2005. Dr. Zhang joined us at Display Week 2017 for the first time, and was so impressed with the scope and depth of what the event provides for the industry that he graciously agreed to join us as a keynote this year. He is a graduate of Tsinghua University and served in various management roles at Visionox before becoming the company's CEO. His field of research is organic optoelectronics. Dr. Zhang has devoted himself to the research and development of OLED process technology, the construction of OLED mass production lines and product planning in China for 22 years, and promoting the industrialization of OLED. He has published over 20 OLED research papers and holds over 30 OLED patents. He received first place in China's coveted "National Award for Technological Invention" in 2011. Check out last year's keynote presenters: Clay Bavor, vice-president of Google AR/VR, Paul Peng, CEO of AUO and Sanjay Dhawan, president of Harman's Connected Services Division. The display industry is filled with female pioneers and professionals who have made outstanding contributions to technology - and Display Week 2018 offers you the chance to hear their unique perspectives about what makes it tick at the Women in Tech forum. The event will be followed by a special reception where you can meet our dynamic speakers. Missed it last year? Hear from our 2017 panelists. Part 1 and Part 2. The Display Week Technical Symposium is one of the most exciting and eagerly awaited forums in the electronic display industry. More than 400 presenters from around the world - including scientists, engineers, business professionals, market analysts and industry leaders - will join us this year to explain the latest advances and the newest thinking on the most explosive technology that's taking the globe by storm. Display Week 2018 is pleased to unveil its newest panel discussion that will give you an insider's view of what it takes to succeed. At "CEO Forum: Lessons Learned," you'll hear directly from some of the world's top leaders about their journey through the world of technology, how they got to where they are and how they plan to stay at the top of the game. Register today to join us for this engaging event, Wednesday, May 23 at 3 p.m. The I-Zone is one of the most popular, most talked about, most anticipated parts of Display Week, where you'll experience live demonstrations of the newest technology on the planet and products that haven't even hit the market yet. That means you'll not only see what's next, but you'll be inspired by revolutionary ideas that could very well have an impact on your own business and products. In 2017, the I-Zone featured more than 50 exhibitors. I-Zone exhibitors are selected through a competitive process, and winners receive a free exhibit space for three days in a dedicated area on the exhibition floor where they have the chance to meet potential customers, partners and investors. During the show, Display Week also confers a special award for the best prototype, and the winner is recognized during the Display Industry and Best in Show awards luncheon. See the winner of the 2017 I-Zone Best Prototype Award. The I-Zone is sponsored by E Ink. Register today for this one-of-a-kind interactive experience! I-Zone. Deadline is March 23. Start-up companies, universities, government labs and research labs are encouraged to apply for this once-in-a-lifetime free opportunity to share their ideas and products with more than 7,000 industry professionals, buyers and manufacturers. Check out the requirements and submit your application today. 50 Years Of Liquid Crystal Displays! Developed in 1968, LCD technology has become the foundation and technology of choice for display screens throughout the world. From smart phones to televisions, from laptops to calculators, from digital watches to digital medical devices - and beyond - liquid crystal display offers many reasons for the industry to celebrate. Join these industry visionaries, inventors and icons on Tuesday, May 22 at 2 p.m., when they discuss this enduring and adaptable technology. This year's special networking event will take place Wednesday evening, May 23 at the California Science Center. Come experience 400,000 square feet of space devoted to scientific examination of every facet of our society. From the 100 trillion cells that compose human beings and the ways people use technology to meet their needs for transportation, communication and structures; to an up close look at the Space Shuttle Endeavour, as well as other air and space craft, and a live ecosystem with nearly 400 species of live plants and animals, this exciting venue won't disappoint. Connect with world leaders, industry luminaries, peers and colleagues, and enjoy a special menu and cocktails, as you stroll among the amazing, interactive scientific discoveries that undergird life as we know it and propel us ever further into the future. This event is sponsored by BOE. Tickets are $90. Shuttles will depart the L.A. Convention Center at 6:30 p.m. on May 23. Register today. Display Week 2018's Business Track, presented in conjunction with Display Chain Consultants (DSCC), offers four distinctive, exclusive conferences to help you understand and navigate the multi-faceted business side of the display industry. 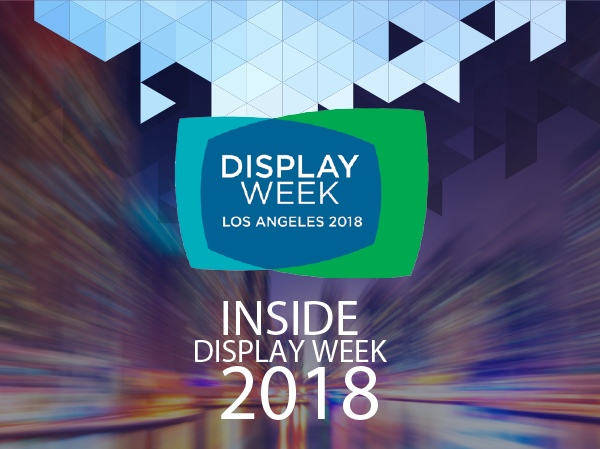 "We're extremely proud to partner with Display Week to offer this smorgasbord of display insights, expertise and interaction at a personal level," says Ross Young, DSCC founder and CEO. "These conferences are a one-of-a-kind opportunity to interact with the entire display supply chain and learn where the market is going, where technology is headed, what's in, what's out, and what investors are looking for." Focusing on the latest results and forecasts for each layer of the display supply chain and where growth, profits and the highest returns are likely. Particular emphasis will be on whether flexible OLEDs, foldable OLEDs and micro-LEDs will or will not change the outlook for the display supply chain. "Investor Opportunities in the Display Industry" will include presentations from companies looking to raise capital to commercialize new technologies that solve existing technical challenges and/or enable new products and markets. Participants include private and publicly traded companies, as well as venture capitalists, private equity firms, hedge funds and sell-side institutions. The theme of this conference is "Safety, Utility, Ubiquity," covering the strong growth, as well as business and market issues facing the display industry as it expands into all automotive and vehicle applications. The Immersive Experience Market Focus Conference will examine the emerging concept of immersion, and the current and future prospects and technologies that guide this new industry into expanding beyond augmented and virtual reality. Register today to learn from global leaders and industry insiders who will share the newest business concepts and what it takes to get ahead in this competitive market. Appointment feature on the Display Week 2018 mobile app (available in May). Students and organizations interested in this one-of-a kind opportunity must register by May 1. Contact Bruce Goldweitz for more information, and use the subject "Job Fair." Display Week provides your company an unparalleled marketing opportunity to get before more than 7,000 electronic display design, development, and engineering purchase decision-makers from worldleading companies and end-users across the value chain. There's no better place to launch your display-related products and services into multiple industry sectors, as well as international markets. See all the benefits of being a Display Week exhibitor. Contact us today, before space fills up. Email Jim Buckley (Americas and Europe) or Sue Chung (Asia). With an average year-round temperature of 72o, gorgeous beaches, world-famous museums, fantastic restaurants and the bright lights of Hollywood, Los Angeles is a traveler's dream. So what are you waiting for? Register today for Display Week 2018, book your hotel, and take advantage of these exclusive offers for our attendees. We can't wait to see you in the City of Angels! Display Week always brings out some of today's top-tier mainstream media, both print and broadcast, along with key electronics and display trades, bloggers and leading market analysts from around the globe. There's no doubt, Display Week is truly the place to be for companies looking to increase their visibility among today's leading dailies, business, financial, and electronics print and online news sites. Be sure to check the press room on the Display Week website for information on how to elevate your presence at the show, along with information on the press room, hours of operation, etc. 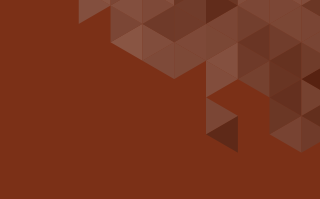 And if you're an accredited member of the media or market research analyst, please be sure learn more about this year's policy and registration process, or see the DW Press and Analyst registration form for more information. You're receiving this email because you've signed up to receive updates on SID. © Copyright 2011-2018 SID - All rights reserved.